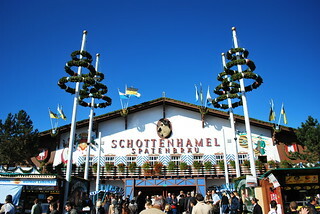 Reckoned to be the most important tent at the Oktoberfest, mainly because it is where it starts. On the first Saturday of the event, no beer is allowed to be served until the mayor of Munich (currently Christian Ude) taps the first keg, at 12pm. Only then can the other tents begin to serve beer.